Just over fifty years ago, in 1964, the writer, thinker and Sufi teacher Idries Shah’s major work, The Sufis, was published. Writer and later winner of the Nobel Prize for Literature 2007, Doris Lessing, writing in The Washington Post, described the work as “a seminal book of the century, even a watershed,” and the poet Ted Hughes wrote that “the Sufis must be the biggest society of sensible men on Earth.” Men and women, that would be. At the time of his death, in November 1996, Shah’s thirty-or-so books on travel, philosophy, psychology and spirituality had sold over 15 million copies in a dozen languages worldwide. Although others had come before Shah, such as the Sufi teacher Hazrat Inayat Khan, at the time Shah wrote his first work popularising the subject, the Sufi Way was largely unknown outside of specialist academic and Sufi circles. The closest many had come to Sufism would possibly be to have read the tales in One Thousand and One Nights, which were actually of Sufic origin and designed to surreptitiously convey certain teachings and survive through their popularity. Many of Shah’s books have teaching tales scattered throughout them, or are collections of such tales, which have multiple layers of meaning that can be revealed like the layers of an onion, rather than the simple morals that we have become accustomed to in the West, via the likes of Aesop. Some, such as the tales of the folksy philosopher and wise fool, Nasrudin, use humour as a vehicle. Nasrudin, ferrying a pedant across a piece of rough water, said something ungrammatical to him. “Have you never studied grammar?” asked the scholar. What the Sufis advocate instead, as correctives, are the development and use of perception and intuition, and learning a practical skill which they technically term “swimming”. One of the aims is to awaken what Shah terms our vestigial organs of higher perception, which will help us in our quest toward Truth. The Sufis talk of finding a hidden treasure of inestimable worth, but since it is buried under a mountain of misbelief and conditioning, a lot of digging has to be undertaken first, a preliminary phase which Shah refers to as learning how to learn. To use an organic metaphor: first of all, the ground has to be cleared of dead wood, undergrowth and weeds before the seeds can be planted; then the seeds are watered and grow out of the ground, and into the air, to be warmed by the sun; and finally they come to fruition and may be harvested. The Sufi materials help clear the ground and scatter those seeds, in the mind and heart of the seeker, and the teacher provides the “water”. Or, to put it another way (as the Sufis so often do), imagine a princess locked in a dungeon and placed under guard. That is our common plight. It is possible to use the Sufi stories to smuggle hidden messages to the princess, who represents our heart or a higher part of us, via those unsuspecting and greedy guards – guards who are equally a part of our own makeup. By establishing a common language and a secret dialogue, messages can in turn be smuggled out about the princess’ plight. To cut a long and involved story short, by such means, the princess can be freed from the dungeon and regain her rightful place. So who are the Sufis? Many would say that Sufism – a word actually coined in the West in the nineteenth century – is a stream of Islamic mysticism or, in a certain sense, the Heart of Islam. Shah and others, however, would aver that the Sufi Way, or Path of Love, is universal and pre-dates Islam, even that religion itself has been used as one of a number of possible vehicles. It might be described as the Heart of all true religion, though it grew to maturity and blossomed in the classical era of Islamic culture. Classical Sufism had many practitioners, followers and sympathisers from all walks of life, such as the Persian poet and hagiographer Fariduddin Attar; the Andalusian polymath Avërroes; novelist, poet and playwright Miguel de Cervantes; the Islamic scholar, poet and philosopher, Ibn Arabi; the poet and Persian polymath Omar Khayyám; the Persian poet and theologian Jalal ad-Din Rumi, and St Francis of Assisi. Both Islam and Sufism had a profound influence, in architecture, the arts, science, culture and so many other ways, in Europe and Christendom, especially during the Middle Ages. According to Shah, Sufis are those who have realized, and submit to, Truth, and those who are still learning (or unlearning a great deal of their social and cultural conditioning), are called dervishes and seekers after Truth (or, some might say, Essence, or the Source, or God). But to even call oneself a dervish – let alone a Sufi – would be a rather bold and audacious claim. In more modern times, those drawn to or influenced by the culturally rich, diverse and tolerant Sufi Way, include in the West: poet and diplomat Sir Richard Burton; leading politician Winston Churchill; actor James Coburn; historian William Dalrymple; professor of psychiatry, Arthur J. Deikman; popular poet, novelist, critic and classicist, Robert Graves (who wrote the introduction to Shah’s The Sufis); diplomat and economist Dag Hammarskjöld; award-winning novelist Doris Lessing; psychologist and pioneer in split-brain research, Robert Ornstein; writers J.D. Salinger and Alan Sillitoe; writer, broadcaster and consultant on psychology and human belief systems, Pat Williams; and animation director, Richard Williams. Shah removed much of the cultural accretions, emotionality and religious “trappings” (and I use the word advisedly) from the projection of the Sufi Way that he brought to and seeded in the West, describing it as a holistic action-philosophy and presenting it, in part, as a traditional science or psychology, and at times using humour as a vehicle for truth. In other words, presenting it in terms that those in the modern West might more easily understand and take on-board. Since Shah first wrote The Sufis, there has been great upheaval in the East. Whereas many of the classical Sufis were polymaths, knowledgeable and often excelling in a wide range of fields, with the rise of fundamentalists in Islamic countries, such a broad and liberal education has been replaced by narrowly-focussed studies in religious schools or madrasas, and increasingly these young people are being actively radicalised. This really is the antithesis of both Islam and the Sufi Way. They hopelessly and misguidedly misinterpret and hijack the letter of the law, and are oblivious of the essential spirit of that law. More recently, the fundamentalist Islamist terrorists of the Taliban, Al-Qaeda and Daesh (unfortunately and insultingly dubbed “ISIS” or “Islamic State”), have destroyed so many cultural treasures such as the Buddhas of Bamiyan, libraries, Sufi shrines and other UNESCO World Heritage sites in places like Timbuktu. They have imposed terrible restrictions and barbaric practises on populations in their thrall, and the most notable victims are women and girls, who have had so many of their freedoms and basic human rights taken from them. In the East, then, from where Idries Shah originally brought the Sufi materials, much of that noble and ancient heritage is being lost; and in the myopic and amnesic consumerism and neoliberal capitalism of the West, that newly-rediscovered heritage is in danger of being forgotten and lost once again. It is against that backdrop that The Idries Shah Foundation was launched as an educational and cultural charity, superseding Shah’s earlier charity, the London-based Institute for Cultural Research (ICR). At the penultimate Annual General Meeting of the ICR in 2012, Director of Studies, Saira Shah, had this to say of the changes: “Idries Shah’s work is entering a critical period: it is becoming forgotten. It is getting hard to maintain or create interest in it among the general population. 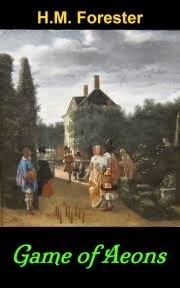 “In the West, the type of interest that exists is unsuitable: already people are taking selections of his work and offering ‘teachings’ from it. Because his work has not yet entered the canon, where it is remembered in total, there is now a danger that only misrepresentative selections will survive – and that his legacy will therefore be lost. 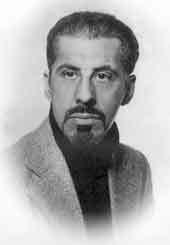 Between 2014 and 2020, the Foundation aims to re-publish paperback, ebook and audiobook editions of Idries Shah’s books in English and other Western languages, together with some limited editions. They also aim to translate the works into Arabic, Dari, Pashto, Urdu and Turkish, and make them readily available throughout the world – and especially in those Eastern countries where the original streams of Sufism are in such grave danger of being corrupted or lost, and where narrow-minded and violent fanaticism has taken hold. 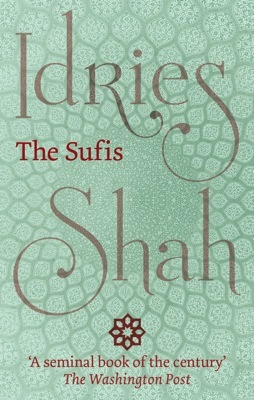 The first book they published was The Sufis, timed to coincide with the fiftieth anniversary of its original publication (1964–2014). A huge task lies ahead for the people in the countries where the lunatics have taken over the asylum, and also of course for the millions of unfortunate refugees, and for the countries where acts of terrorism are being carried out, but it is charitable efforts such as this – and initiatives by other agencies such as the Institute for the Study of Human Knowledge (ISHK) in the United States, the Institute for Cross-cultural Exchange (ICE) in Canada, and Books With Wings in Canada and the UK – that will make a vital and welcome difference to people’s lives, and children’s lives in particular. • The Sufis is available at ISF Publishing. • Creative Reading: Perspective 2016 by Wouter Hanegraaff. Please link to the current article's URL. Etienne de L'Amour is the author of a series of works of "mystical faction", beginning with Escape From the Shadowlands. These works are inspired by the likes of the writer, thinker and Sufi teacher Idries Shah; the writer Doris Lessing, and the psychologist Robert Ornstein. He also writes soft scifi as H.M. Forester. Most of the works by Etienne de L'Amour are set in the realm known as the Shadowlands. In a previous millenium a catastrophe struck the lands which were originally known as the Eden Project. The linkage with the Source, vital for the continuing evolution of humanity, was largely lost, though it is always subject to ebb and flow. As a consequence, the Shadowlands and the people who live there have largely fallen into a state of decay and degeneration. In the west lay the Freelands ... or so they are called. 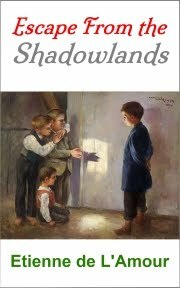 Though preceded by two prequels, the best place to start the Shadowlands series is book 3, Escape From the Shadowlands. Which are the best books to read first? What do you make of Katie Hopkins?